I love gardening and if my hobby intrigues my picky eaters’s curiosity for new veggies, that makes my outdoor project even more worthwhile. It may have taken my son a whole summer to accept tomatoes into his diet and then another one for cherry tomatoes but he eats tomatoes like a pro now. With the mild winter that we’ve had so far (which only happens once in a million years in Minnesota ) and days like yesterday when we were able to play outside for the entire afternoon, I’m very eager to get my hands in the dirt. I still have to wait until May to make sure we’re 100% out of the freezing season but at least I get to start my garden in the basement about this time of the year. I grow my veggies from seeds. It’s fun to watch the tiny seeds sprout and turn into little plants that grow stronger and taller every day. 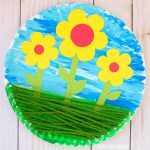 I came up with a little spring project for the kids as well. 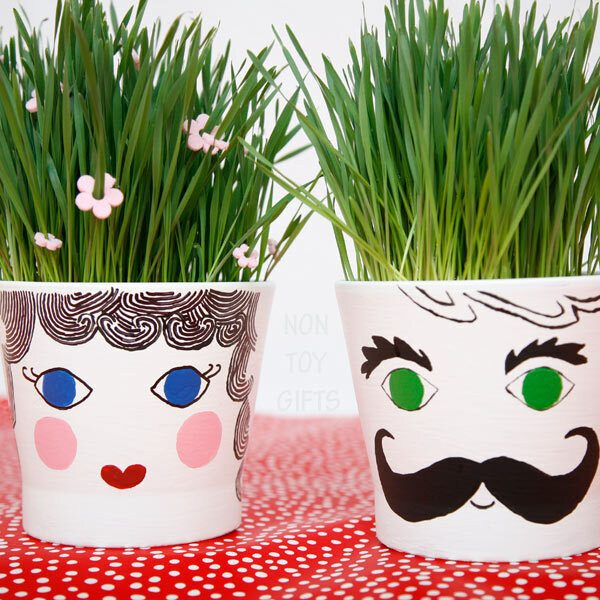 We made grass head pots. Step 1. 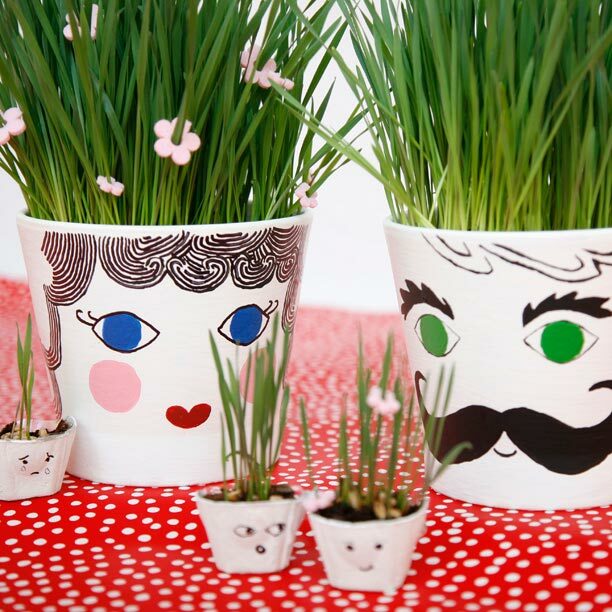 Paint a couple of pots with white paint. I also went about an inch down on the inside of the pots. 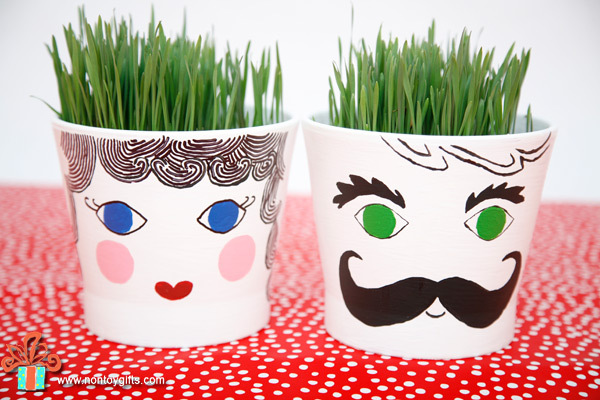 Paint a Mr and Mrs faces using paint and a sharpie for the hair details. Step 2. Fill the pots up with soil and plant your seeds. I used spelt. If you don’t have any grass seeds and don’t want to buy a big bag for only the few seeds you’ll need, you can always use wheat, rye or cat grass seeds. Step 3. Water and wait for the “hair” to grow. 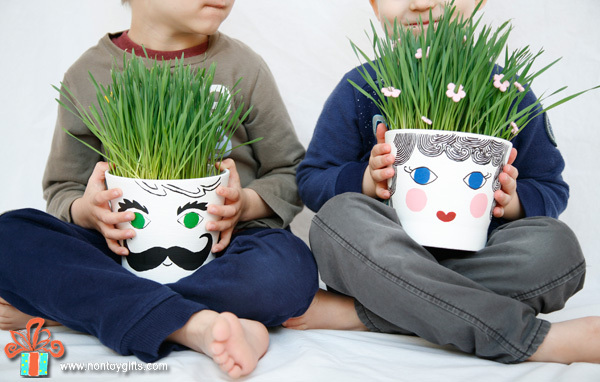 This is how our grass head pots looked like on day 4 but only because I used a seedling heat mat and grow lights. Otherwise it would take about two to grow that tall and only during summer time when the sun is strong and up in the sky for many hours in a row. One morning when we went downstairs to see what Mr and Mrs Hairy were doing, we found them surrounded by a bunch of noisy kids, playing around. One of the oldest kids pushed the little one, who started to cry. Poor baby! 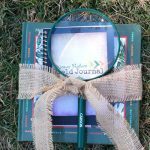 You can keep the grass head pots a simple gardening craft where kids get to take care of plants and observe their growth or you can turn it into a science project by explaining how dirt, water and sun work together to sustain the plants’ life. So many learning experiences can start with a simple project like this! I LOVE these! 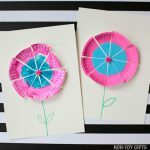 The possibilities are endless and what a fun way to work on scissor skills with little ones! 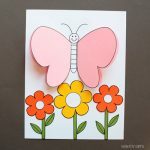 Thanks for adding it to the #TakeTime linkup! You painted those?! They look great! Such a cute idea! 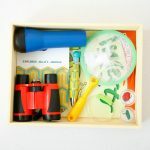 This is such a wonderful idea! Especially for teaching kids about growing. 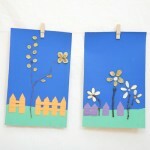 What a cute craft/gift! Thanks for linking up with our #TAKETIME link up! Oh these are just adorable!! I LOVE how you gave them kids! Thanks for linking up with the #TakeTime link up! 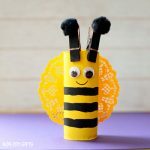 Thanks so much for sharing your fabulous craft on #CreateMakeShare. I’m delighted to feature you. Thank you! I’m honored! I love your series!